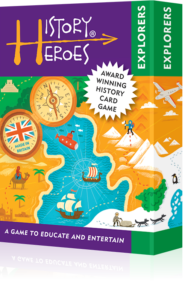 History Heroes’ Explorers quiz card game contains individual cards of History Heroes’ forty greatest Explorers. 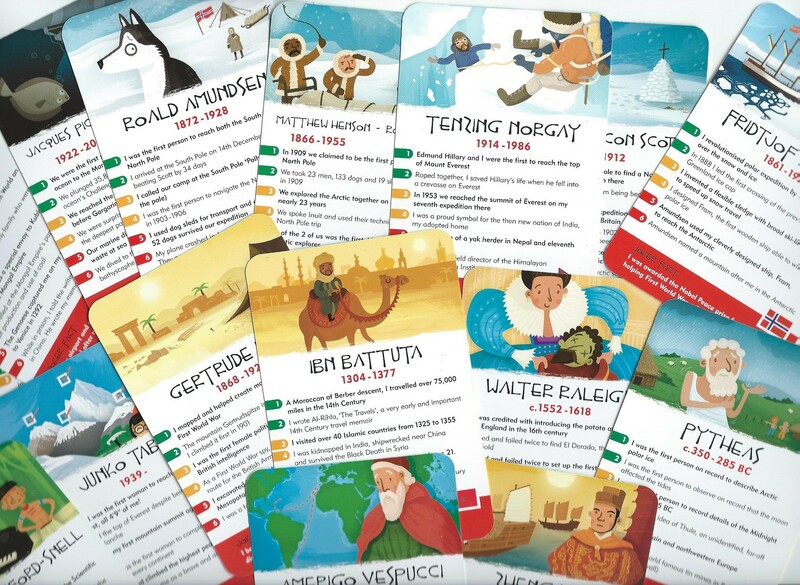 Each card is fantastically illustrated to represent the individual Explorer Hero and shows the explorer’s dates, their flag of birthplace and seven gripping facts about them, including a joker fact about each Explorer to surprise and/or entertain. 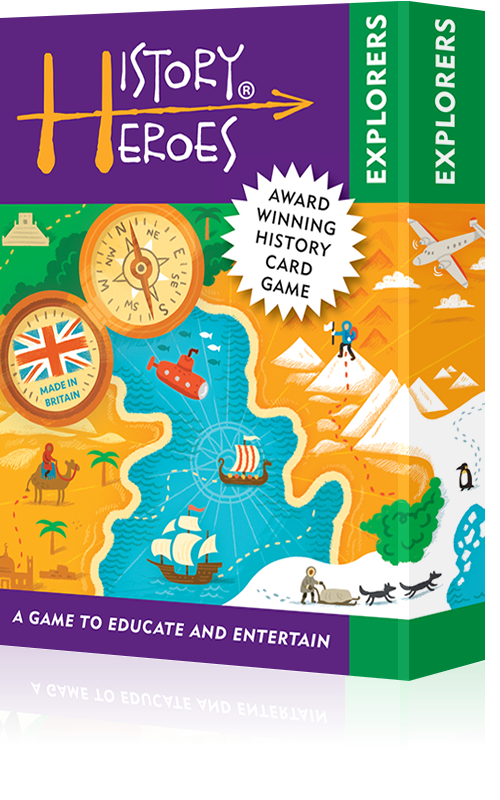 I had to write a second review for the Explorers because I think this card game is outstanding. 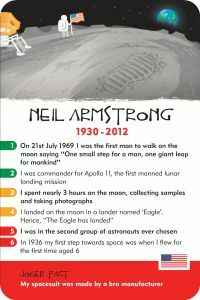 Having a great interest in this subject I found the cards incredibly informative. 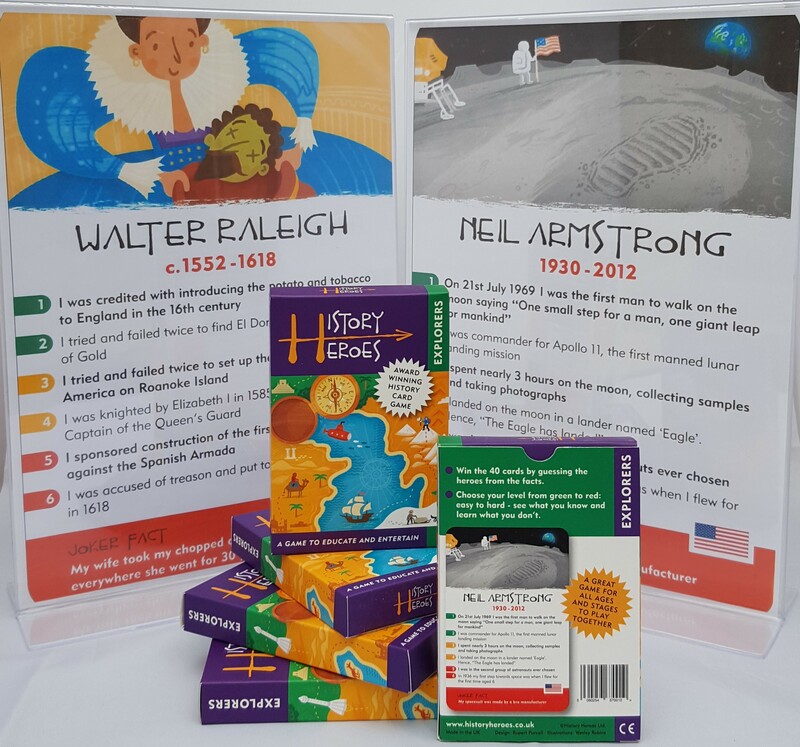 I have given the Explorer game as a present but I have kept my original pack by my desk so I can look up all kinds of facts. A truly great gift that does not date. Well done History Heroes! I was very impressed with this game when I first saw it. 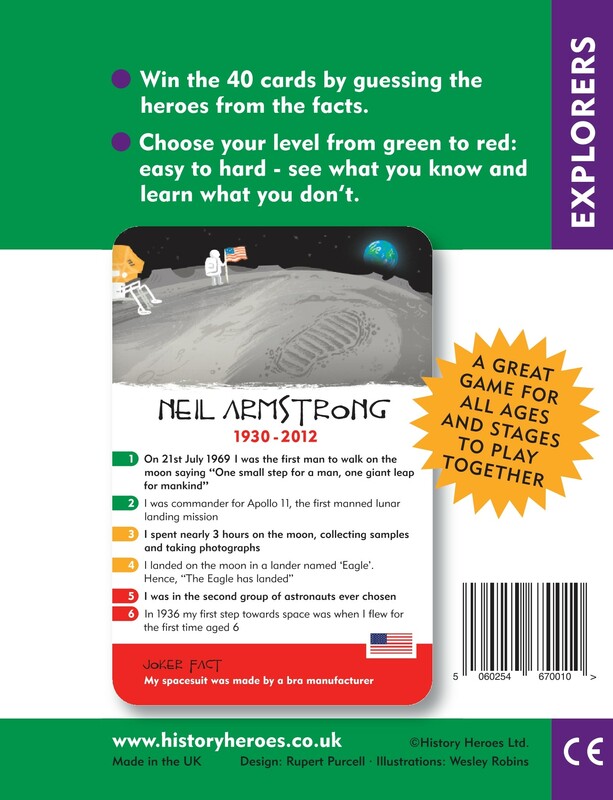 The packaging was very good and the game concept was very easy to understand and follow. This game kept us all going for a long time. It helps with needing to pay attention to what is said to remember for the next time the card comes out again! It is simple and easy to play without them losing interest. I think it is great and kept the kids amused for a long time. I really did like this game – it was something different for us all to enjoy; it was a good laugh.